Since the day of its founding, NC State has been a university on a mission: to create lasting prosperity for the people of the state, the nation and the world. That work began 128 years ago, and it will never cease. But it’s worth reflecting on what has already been built — brick by brick — by generations of the university’s students, faculty and staff. NC State adds $6.5 billion to the North Carolina economy each year, equivalent to creating more than 90,000 new jobs. That’s a significant return on investment for the citizens of the state, and it includes $1.2 billion in added income from NC State startup and spinoff companies. From Elizabeth City to Sylva, the university’s enterprising alumni are driving the economy. In 2014, NC State sent more than 8,600 new career-ready graduates out into the world. 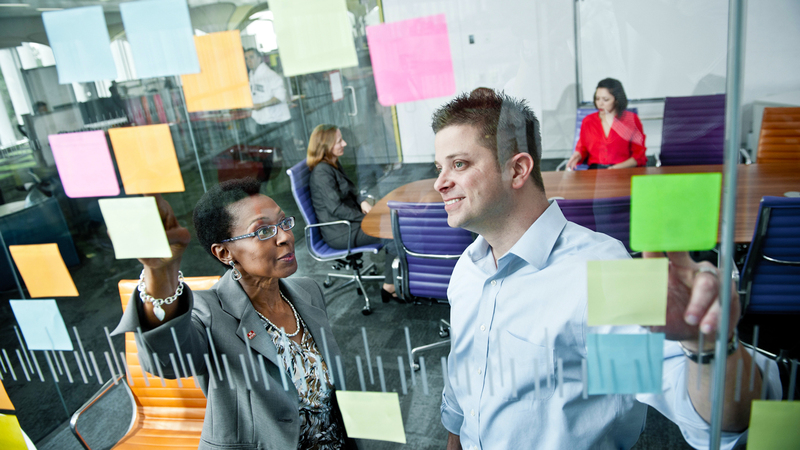 They join the hundreds of thousands of Wolfpack alumni already leading the workforce in North Carolina and beyond. The hands-on, feet-first training they received as students will serve them long after they leave, and it’s a key reason the university’s graduates are among the top job recruits in America. Wherever they go, NC State alumni go straight to work — and they bring their problem-solving skills with them. NC State faculty are also on the rise. Through the Chancellor’s Faculty Excellence Program, the university has become a national model for how interdisciplinary research can confront some of the planet’s most pressing problems — and those efforts are being redoubled, with more world-class faculty clusters soon to be announced. Last year, external research funding at NC State surged past $300 million for the first time, and that figure includes a record $35.8 million in industry funding. Since Chancellor Randy Woodson took charge in 2010, the university’s endowment has grown 76 percent, reaching an all-time high of $885 million by the end of 2014. Industry and government already know Raleigh as the place to get results, and that’s tribute to the deep well of talent at NC State. 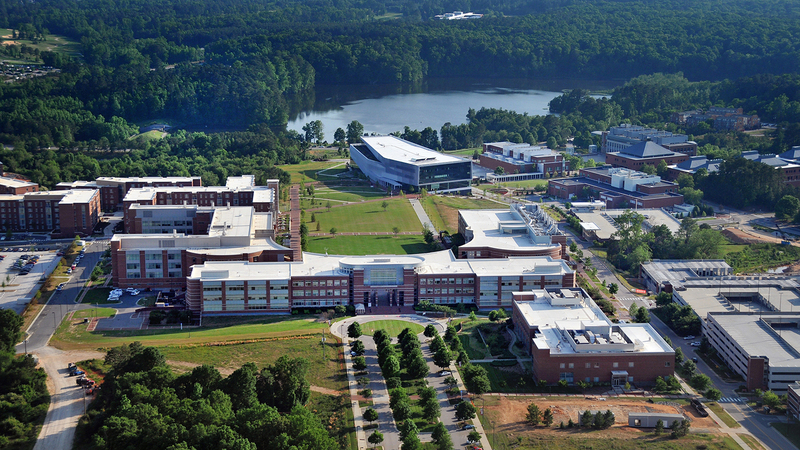 Its award-winning Centennial Campus now houses more than 70 public and private partners, and NC State is at the head of national efforts to curb nuclear proliferation, develop a smart electric grid, create self-powered nanotech health monitors and build a new American manufacturing sector. The Hunt Library, dubbed “the library of the future” by Time magazine, lies at the heart of Centennial Campus. 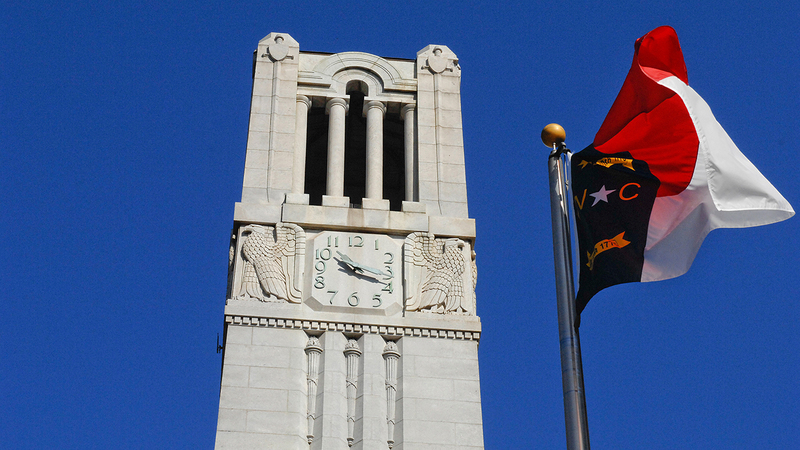 NC State is poised to become the preeminent research enterprise in America. How did it get there? By matching bright ideas with bold action. By focusing on real-world applications and concrete outcomes. “Think and Do” is more than a banner hanging on Hillsborough Street; it’s a potent summary of how NC State solves problems. It’s a mindset and a mission statement, and it’s the spirit that’s driven the university since day one. For 128 years, NC State has been working to create economic, societal and intellectual prosperity for all. That task will never be complete, but the university’s successes continue to come thick and fast — in economic impact and partnerships launched, in research discoveries made and new graduates readied for the future. The road ahead may be long, but NC State’s momentum has never been stronger. Join forces with us. Like us on Facebook, follow us on Twitter and share our stories of how we think and do.